a set of methodologies, processes, architectures, and technologies that transform raw data into meaningful and useful information used to enable more effective strategic, tactical, and operational insights and decision-making. Ok, great, but what does it mean? The definition above mentions two important parts of business intelligence. 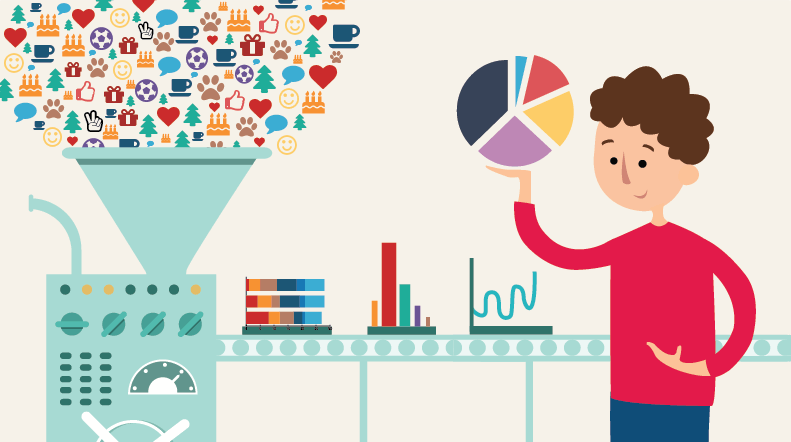 Modern businesses generate tons and tons of interesting data on a daily basis. This can go from obvious things like sales information you get from your webshop, to less obvious things like emails, call logs from your customer care department, or server logs from that webshop we just mentioned. Having all that data at your disposal is great, but if you don't turn it into useful information, you're just filling up hard drives in data centers with nothing to show for it. Business intelligence aims to transform that raw, often unorganised data into a model you can analyse and use in reports. Once your data is all nice and clean, you can start analysing it to gain insights about what's happening to your business, and ultimately help you steer your business in the right direction. Business intelligence aims to do this through reporting. The decision makers in the company probably don't have time to crunch the numbers and check all the processes themselves, so a BI team will create reports and dashboards for them to consume, to support their decision-making process. Ultimately, the goal of every business is to have a company-wide BI solution. But getting there isn't as simple as you might think. First of all, cross-department collaboration is often difficult, as each department has their own goals and priorities. With some planning and vision, this hurdle can definitely be overcome. But the biggest issue a lot of companies face is the initial cost. Before business intelligence starts making you money, you have to invest in it. A lot. Often, smaller companies will steer clear of business intelligence because it seems costly and daunting. But luckily there are personal BI tools that allow you to start small, and scale over time. Power BI is a great example of this. You can start using Power BI desktop to build your reports, publish them to the online service, and have dashboards and notifications set up for you to consult, it even has a mobile app for when you're on the go. And the best part? you can start using all of these features for free.